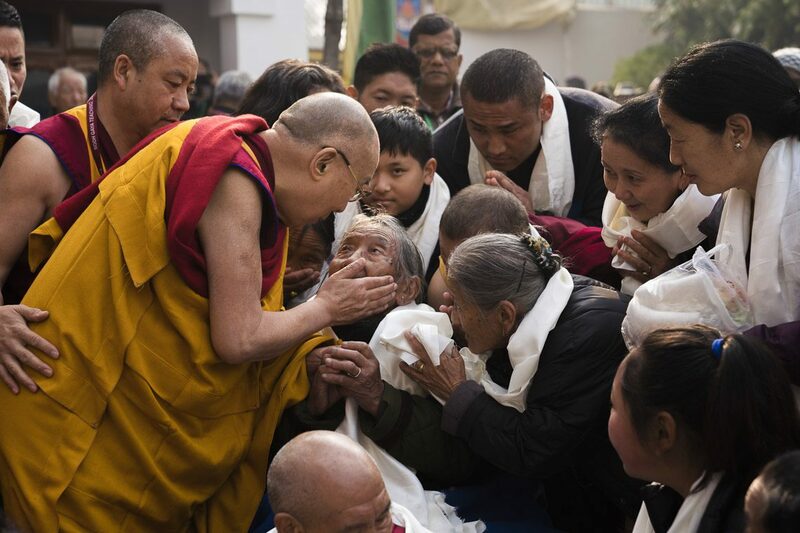 (TibetanReview.net, Jan20, 2018) – Following media reports that some 2,000 pilgrims from Tibet were among the tens of thousands attending the Dalai Lama’s religious teachings during this month at Bodh Gaya, Buddhism’s most sacred site located in the Indian state of Bihar, Chinese authorities have ordered that such Tibetans return home immediately or face severe punishment. Although tacitly acknowledging him as Tibet’s top Buddhist leader, China has been publicly denigrating the Dalai Lama, calling him a political exile out to split up China. The orders were said to have been issued by local authorities and targeted at the Tibetans from their respective areas. For example, Tibetans who had come from Tawu (Chinese: Daofu) County of Karze Prefecture, Sichuan Province, were issued the order on Jan 12 and given a deadline of Jan 16 for making it back home, reported Oslo-based Voice of Tibet Tibetan and Chinese language radio and online news broadcast services Jan 18. Many were stated to have rushed home, fearing severe punishment, including being banned from returning. Many who were visiting Nepal on business were also stated to have rushed home, fearing confiscation of their passports and inability to travel for future business trips. Other counties, such as Lithang and Draggo (Chinese: Luhuo) and Minyag (Xinduqiao) in Sichuan, from where Tibetans had travelled to India and Nepal for pilgrimage have also reportedly been given similar orders. Most of the pilgrims are from eastern Tibet. Those from Tibet Autonomous Region in the west all had their passports confiscated some years ago after many attended religious teachings given by the Dalai Lama in India. At that time, returned Tibetans were ordered to attend political meetings and then subjected to political education detention for two-three months.